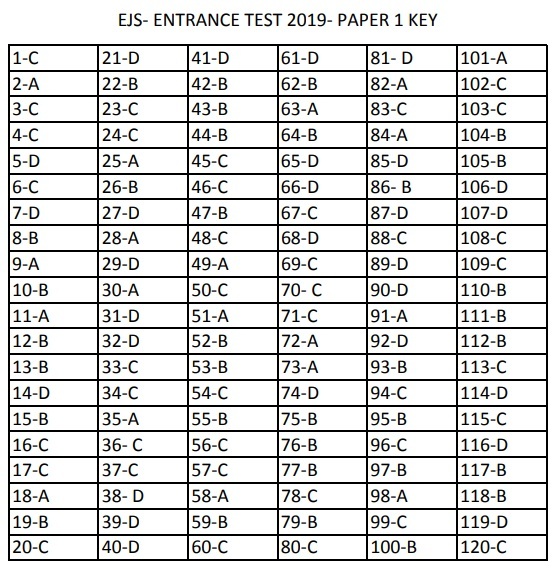 Eenadu Journalism School has released key for the entrance examination (Screening Test) Paper 1. Following is the key of Eenadu Journalism School for admission into Diploma programmes in Web and Multi Media Journalism for the year 2019-20. The officials have confirmed that 2.73 lakhs candidates have applied for AP EAMCET - 2019. EAMCET entrance examination is for admission into engineering, agriculture, allied medical courses for the academic year 2019-20. Candidates can apply for AP EAMCET 2019 till 4th April with a late fee of Rs.500, till April 9 with a late fee of Rs.1000, till 14 April 2019 with a late fee of Rs.5000 and till 19th April with a late fee of Rs.10000. AP EAMCET convenor Prof Saibabu has informed that the entrance examination will also be conducted in Hyderabad and Secunderabad centers. For any clarifications, candidates can contact at 0884 - 2340535, 2356255. 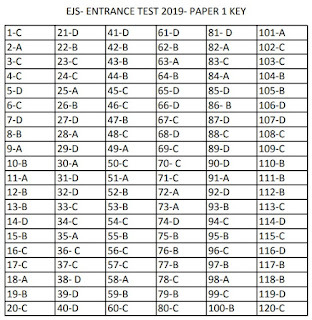 Email: 2019apeamcet@gmail.com .